Emirates has announced four new weekly flights between Phuket and Dubai starting on December 1. 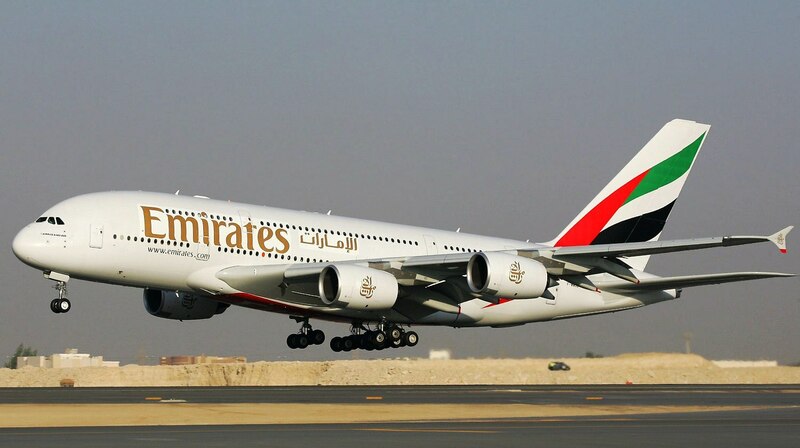 Emirates has announced four new weekly flights between Phuket and Dubai starting on December 1. Adding a capacity increase of 57 per cent, the four new flights will introduce connectivity from most cities in the Americas for the first time, as well as improve connections to a number of key destinations in Europe and the Middle East via one convenient stop in Dubai. 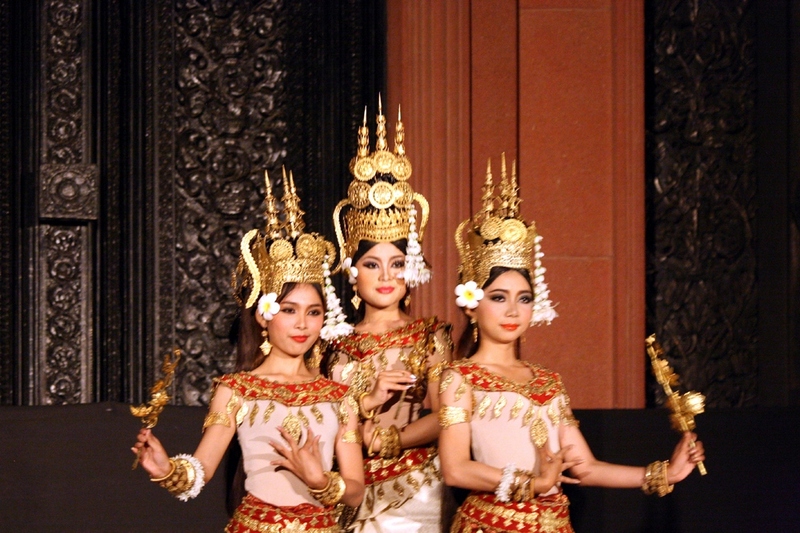 “Since the launch of our flights to Phuket in 2012, the demand has increased dramatically. The fact that we are now adding a further four weekly flights highlights not only the desirability of the destination but also the wish of passengers to travel with Emirates,” noted Thierry Antinori, Emirates’ Executive Vice President and Chief Commercial Officer. Cha-Am Beach in Phetchaburi adds spice to your life next month as it hosts the “Shell Eating, Bird Seeing and Squid Angling Festival” from September 12 to 19. A trip to Cha-Am during this popular seafood festival usually means chilling out at the beachside restaurants of your choice and breaking your diet with barbecued squid, spicy seafood soup, steamed red snapper and more. Check out the hotel booths for fancy menus and fusion food. Bangkok Airways has entered into a new codeshare agreement with the Republic of Kazakhstan-based Air Astana, increasing its code share partners. The partnership is set to link Air Astana’s passengers with Thailand’s most renowned beach destinations and will seamlessly enable Air Astana passengers to connect with Samui, Phuket and Krabi. Air Astana customers travelling on Bangkok Airways will enjoy the boutique airline’s check-through service, lounge access and in-flight meal. All Air Astana’s passengers on Bangkok Airways flights will receive boarding passes on check-in at their first international departure point for connection with their destination. Thingkrajard Festival returns to Suphan Buri province from Monday through September 4. This annual festival, which draws on Chinese traditions, aims to feed the hungry ghosts and wandering spirits of the underworld. There’s nothing spooky about it though and thousands of visitors turn out every year to enjoy the colourful parade and Chinese cultural show. 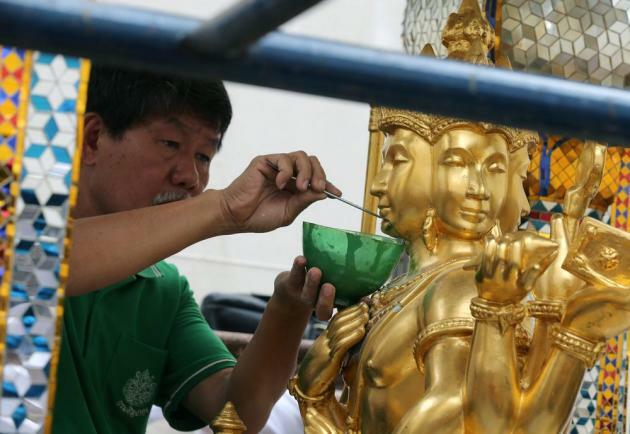 The restoration of the Thao Maha Phrom statue at the Erawan Shrine will take nine days and will be completed on September 3, Fine Arts Department Deputy Director General Sahaphume Phumtharittirat said Wednesday. Sahaphume led officials of the department to inspect the statue of the Hindu god of creation Lord Brahma at 10 am to get preparation for the restoration. He said the statue was damaged at four spots – the chin, the necklace, the right index and right shin. The roof of the statue was also damaged. The restoration would take about Bt70,000 from the Erawan Thao Maha Phrom Foundation. A grand rite will be held on September 4 celebrate the restored statue, he added. Hindu shrine at Ratchaprasong Intersection. The Bangkok shrine hit by a bomb blast Monday was originally built to appease superstitious construction workers and morphed into a popular attraction that typifies the kingdom’s unusual blend of Hindu and Buddhist traditions. Few visitors who make their way to Bangkok’s main shopping mall district fail to notice the Erawan Shrine which sits at the foot of a luxury hotel on one of the city’s busiest intersections. The smell of sandalwood incense and the jangle of temple music wafts above the din from the city’s gridlocked streets providing a welcome respite for both devotees and curious onlookers. Shrines to the Hindu gods Ganesha and Shiva can be found just a few hundred metres away from the Erawan while Thais have their own version of the Ramayana epic — the Ramakien. The shrine has also been witness to key recent moments in Thailand’s febrile political history thanks to its location at the Ratchaprasong intersection. The key crossing has been taken over by both sides of Thailand’s political divide at various times during recent street protests. Business leaders believe Monday night’s explosion at the Ratchaprasong intersection will hurt tourism but expect the overall negative effect on the economy will be more psychological and short term. 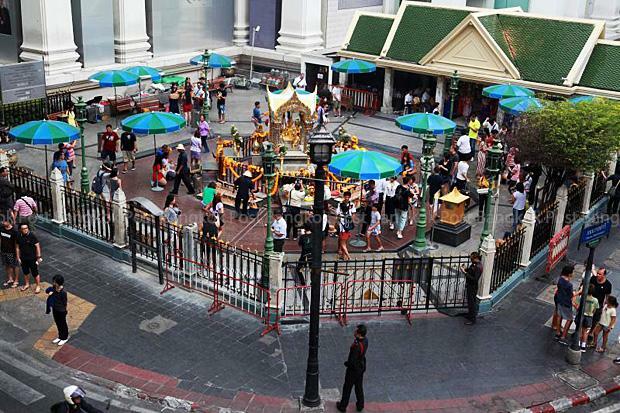 Supant Mongkolsuthree, chairman of the Federation of Thai Industries, said tourism would be the sector hit hardest by the horrific blast at the Erawan Shrine, whose victims included Thais and foreign tourists alike. “In the long term, we’ll have to wait and see what exactly the real impact on foreign investors will be,” he said. 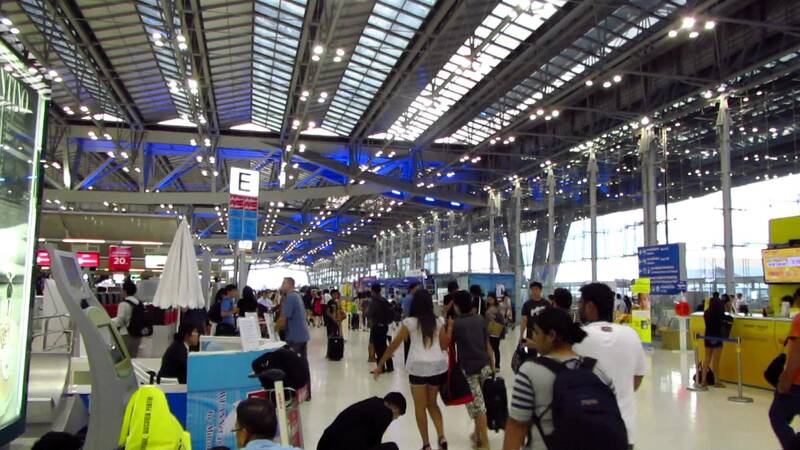 However, the Thai-European Business Association (TEBA) thinks differently, saying the bomb has had only a minimal effect on foreign investors, with most of them still expressing confidence in Thailand’s fundamentals and investment atmosphere. The impact of Monday’s bombing at Ratchaprasong Intersection in Bangkok will be only short-term and the government will be able to control the situation, business leaders said yesterday. They also reiterated their confidence that gross domestic product would grow by 2.5-3 per cent this year as the authorities have targeted. 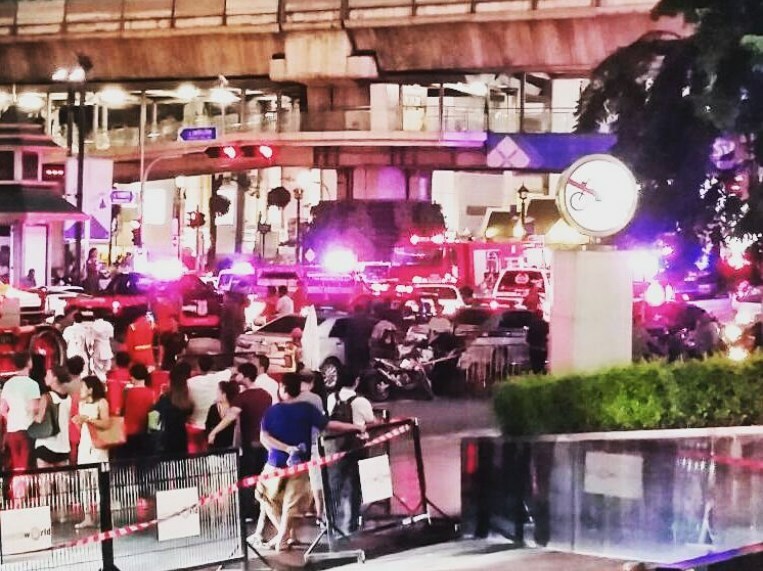 Supant Mongkolsuthree, chairman of the Federation of Thai Industries, said the deadly explosion would affect the confidence of investors and travellers. However, the seriousness of the impact on investors would depend on how the government managed this situation and prevented similar attacks in the near future. He said the attack should not have an immediate effect on the economy but it would certainly affect short-term investment. He called for the government to communicate to the public clearly about the situation, as well as to both local and foreign media. Prasarn Trairatvorakul, governor of the Bank of Thailand, said the bomb blast is unlikely to affect Thailand’s economic stability and financial sector as the numbers of financial institution branches near the Ratchaprasong Area that have closed down temporary are very limited. “If the situation does not spread widely than it is unlikely to impact the economic stability,” he said. “Most of the financial institutions are open for operation as normal while some of the ones that have branches near the affected have asked for permission to closed down temporary and they were allowed but their number is very small,” he added. He explained that there will be some impact on the tourism industry but the full effect will have to be monitor later as the impact is not wide spread throughout the whole sector. Kalin Sarasin, vice chairman of the Thai Chamber of Commerce, said private enterprises were confident the government could control this situation and the blow to tourist confidence would be temporary. He said the TCC had been in touch with the chairman of the Joint Foreign Chambers of Commerce in Thailand (JFCCT), who said he “understood the situation and was confident that the government can handle the situation and end the problem very soon”. Kalin also said that although this was a serious problem, Thais had shown good spirit in helping one another, which should create a good image for the country. Saowanee Thairungroj, president of the University of the Thai Chamber of Commerce, said the impact should not be prolonged and the economy should still be able to meet the university’s previous growth projection this year. She added that the Cabinet reshuffle should help create confidence among businesspeople. Tongurai Limpiti, deputy governor for financial institution stability at the Bank of Thailand, said tourism would be most affected by the incident, with some impact on the volatility of the stock market and the currency. However, these would be short-term impacts, so confidence is expected to resume quickly. Commercial banks with branches near the Ratchaprasong bombing and in nearby shopping malls were in business as usual yesterday except TMB Bank, which closed its branch. Tongurai said the banks had business continuity plans they were able to execute in emergency situations. Chartsiri Sophonpanich, president of Bangkok Bank, said the government would handle the situation well, so the bank was not seriously concerned as the incident would have limited impact. Paiboon Ponsuwanna, adviser to the Thai National Shippers Council, agreed that the bombing should have only a short-term impact to the economy and investment. However, he said some foreign buyers, especially from the United States, the European Union and Japan, had started to ask questions and express concern about the situation. Some may cancel their business trips planned for the third quarter for meetings or to order goods from Thailand for the upcoming festive season. PTT president and chief executive officer Pailin Chuchottaworn said the actual impacts on the economy would depend on how the government came up with effective measures to revive confidence. “Taking the case of Korea, which witnessed a 90-per-cent drop in tourist arrivals because of a disease outbreak, the tourism industry can recover fast,” he said. Commerce Minister General Chatchai Sarikulya has instructed Thai trade representatives overseas to cooperate with Thai diplomats to explain the situation to foreign traders. He also insisted that international trade fairs planned for the remaining months of the year would go ahead. Sinthu Peatrarut, managing director for media-client relations at Nielsen (Thailand), said the work of restoring foreign visitors’ confidence must be done as soon as possible. Domestic consumption would drop for a short period, hence retail business would be affected. Stanley Kang, chairman of the JFCCT, said the tragedy that had transpired was “deeply saddening” and his organisation, which covers 30 foreign chambers and business associations representing almost 9,000 companies, wanted to know the real reason behind the hideous attack. “There is expected to be some short-term effect on the tourism sector but the chambers still have full confidence in Thailand’s potential and its future. We will continue to invest here, but we still want to know what really happened from the findings via official investigations before we can provide any further comment on its impact,” he said. Thai European Business Association president Uli Kaiser said the initial impact, if any, from the “despicable act” on foreign investors would be minimal as the increased interest in the Kingdom and the Asean region since the beginning of the year was expected to continue. “It is hard to comment on such a terrible act but overall, the impact on foreign investors is very little, and the surge of interest from European and American investors that I have talked to recently, especially in the automobile industry, is expected to continue,” he said. Leigh Scott-Kemmis, president of the Australian-Thai Chamber of Commerce, said the obvious short-term impact from the bomb blast was reflected in the reaction of the country’s stock market as equity investors had taken a step back to see what actually happened. Meanwhile the impact on foreign investors’ interest in Thailand remained to be seen. “Business activities here have been quite robust from the beginning of the year until now as Australian investors’ confidence has been rising from the increased political stability. But with no confirmation of the [motive for the attack], it is hard to see the real reaction from investors at this time,” he said. 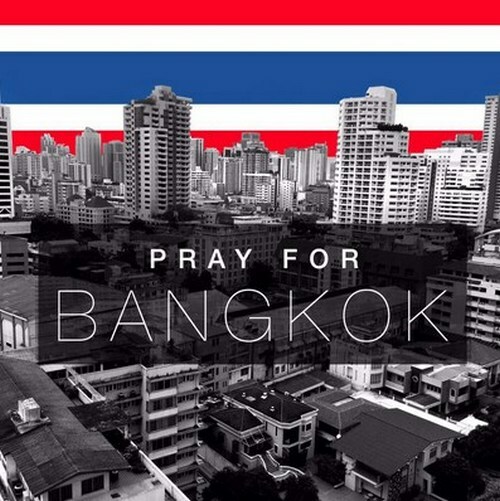 The World Travel & Tourism Council (WTTC) extends its condolences to the victims of the bomb attack that took place in the centre of Bangkok on Monday night. “It is highly regrettable that Thailand, one of the most popular tourist destinations in the world, has been the target of this violence. Fortunately Thailand has shown its resilience in the past from natural disasters and other disruptions, and we hope that the situation will stabilise and return to normal very quickly”. According to WTTC reports Travel & Tourism generated over Bt2,345 billion ($US 72.2 billion) or 19.3 per cent of the country’s GDP in 2014. The sector supported over 5 million jobs, representing 14 per cent of total employment. 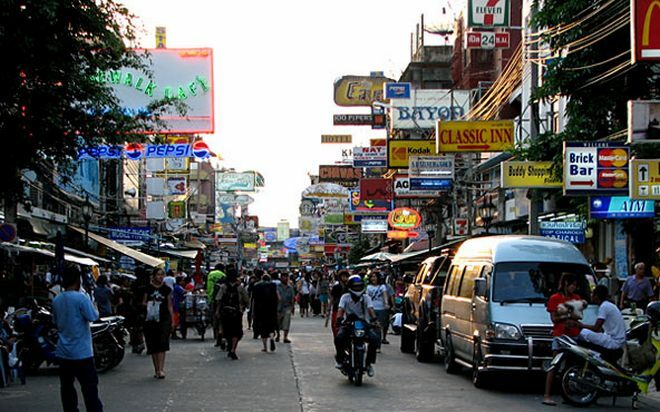 Thailand’s annual visitor exports, which is money spent by foreign travellers in the country, have more than doubled in the last decade, increasing from Bt629 billion (US$19.4 billion) in 2005 to Bt1,309 billion (US$40.3 billion) in 2014. 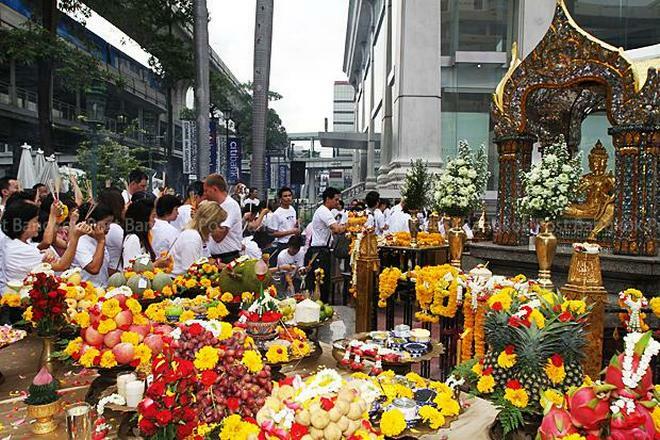 The Ratchaprasong Square Trade Association (RSTA) yesterday released a statement expressing “deep regret to the families of those innocent people who were injured or lost their lives in Monday’s bomb attack close to the Erawan shrine at the Ratchaprasong intersection”. The association is cooperating with police officers in its full attempt to provide useful information regarding the incident, so that the government can identify the bomber, or bombers, it said. All shopping malls in the area – Gaysorn Shopping Centre, CentralWorld, Amarin Plaza and Arawan Bangkok – were open for business as usual yesterday. Despite the powerful blast, the Erawan shrine itself was not damaged and will be open for the general public to pay homage to the victims from today. In cooperation with all shopping-mall members, the RSTA said it was intensifying security measures in the area. These include security checks of all vehicles at all building entrances/exits, no overnight parking allowed, and security searches of visitors at all building entrances/exits. Twenty-four-hour walking patrols have also been deployed both on the Skywalk and all sidewalks, in addition to an increase of 25 per cent in the number of security personnel in the area. The RSTA said it remained “highly confident that the authorities would be able to restore normal sentiment to the Ratchaprasong district very soon”. A bomb thrown at Bangkok’s Sathorn pier Tuesday but caused a explosion but no injuries or damage. Witnesses reported that an explosive device was hurled at approximately 1.20pm from the Sathorn bridge near a parking lot for pickup truck taxis, bounced into the water and exploded there. There were no immediate reports of injuries or damage. The pier remains open. Police converged upon the scene and closed Sathorn Road to traffic from the pier to the Saphan Taksin BTS station. Divers went into the water to try to recover any surviving pieces of the device. Sathorn pier is a major terminal linking Chao Phraya River commuter boats and the nearby Skytrain station. It’s also a major tourist stop, especially for Chinese tour groups. 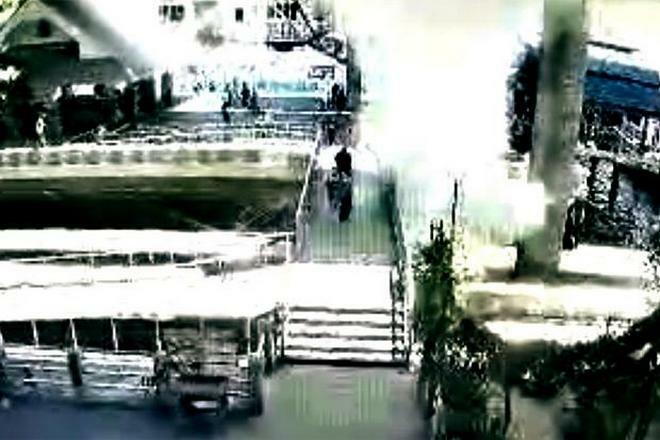 Transport Minister Prajin Juntong said the Sathorn bomb was improvised explosive device that was thrown. An IED is also blamed for Monday’s devastating explosion at the Erawan shrine that officially has left 20 dead and 108 injured. Hundreds of people line up at the national blood donation centre at Thai Red Cross Society headquarters on Rama IV road following the fatal bomb blast on Ratchaprasong intersection near the Erawan Shrine on Monday night. The explosion killed at least 20 and wounded dozens others. 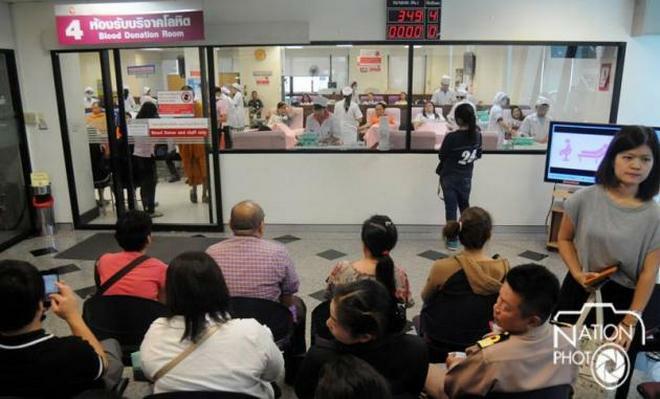 The injured people, including foreigners, are receiving treatment at many Bangkok hospitals. The donation centre receives blood on Monday, Wednesday and Friday from 8 to 4.30am; on Tuesday and Thursday from 7.30am to 7.30pm and on weekends and holidays from 8.30am to 3.30pm. Bangkok, Thailand (CNN) A huge bomb explosion that appeared to target a popular Hindu shrine in central Bangkok killed at least 22 people Monday and wounded about 120 more, authorities said. The Thai police chief told reporters the bomb came from a motorcycle, though the Bangkok Post reported it was fastened to a utility police.